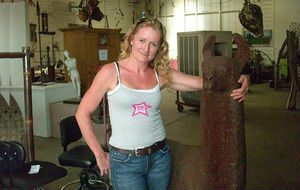 Darlene says as she creates she is always collecting recycled metal: sometimes she finds the perfect piece for a project she’s working on, sometimes she’ll make something from scratch, and sometimes she finds a piece for another project. “There are certain pieces of metal that scream what they want to be made into, so I just listen,” she says. 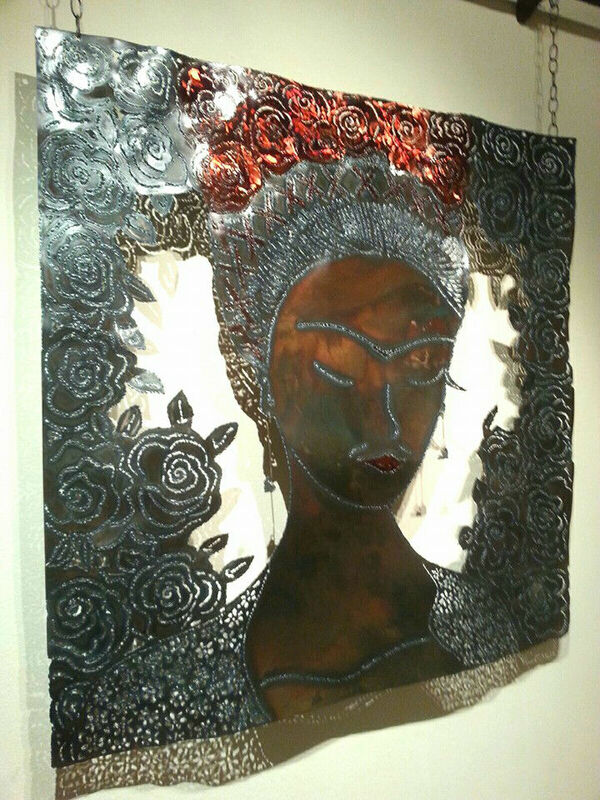 Her favorite creation so far is her portrait of the Mexican artist Frida Kahlo. “Considered one of Mexico’s greatest artists and admired as a feminist icon, I am inspired by her strength and will,” says Darlene. Darlene has been aware of the importance of safety in the shop since an accident with an acetylene hose at a welding space she was renting. The acetylene hose exploded and whipped around shooting fire until the welder ran in and turned the tank off. “Even though it wasn’t mine it has made me more aware,” she says. Darlene is trying not to think about what she’s lost, instead looking to Frida for inspiration, an artist who persevered and continued to create in spite of many challenges, including lifelong health problems resulting from an accident. “I’m strong and I have so much love and support, I’ll be creating soon,” Darlene vows. If you follow Darlene on Facebook you’ll see she’s already begun to create again. 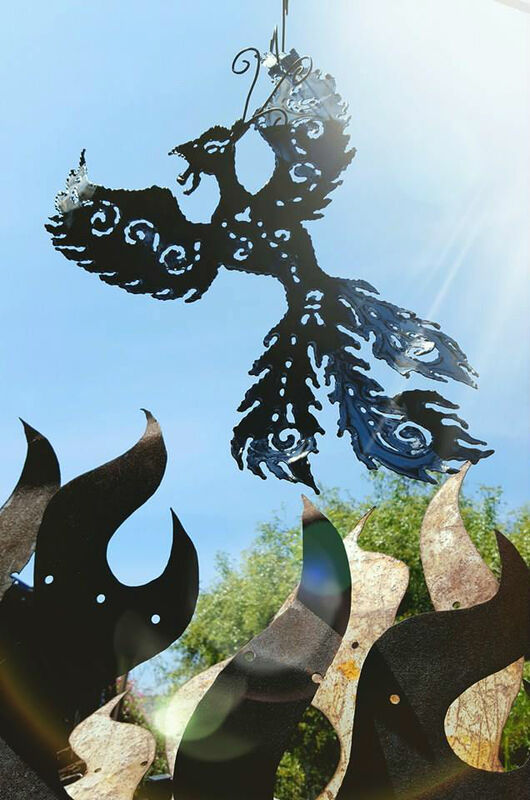 Her first piece since the fire is a phoenix, the mythical bird who dies in a burst of flame and is reborn of the ashes. Miss you and sending my condolences to you and your family. I know how much your dad meant to you. Keep your memories close to your heart. When your able to talk I would love to see you or talk with you.